Wines For Chillin’ And Grillin’ As Summer Approaches! It’s that time of year where we turn the corner from Spring to Summer and the Gas Grills and Backyard BBQ’S become a weekend tradition. I am tasting wines all the time and I think I narrowed it down to my best two choices for “Chillin’ And Grillin'”. Last October I posted a video of my trip to visit Italy with Wine Importer Nadia Galati from Alberello Imports in Winter Park Florida. One of the highlights on my trip besides stuffing my face and gaining 9 pounds on the trip was meeting winemaker Fabiano Giorgi in Stradella which is part of the region known as the Oltrepo Pavese. It’s about 20 minutes away from Milan. Fabiano produces lots of sweet sparkling wines like Sangue Di Giuda (The Blood Of Judas) and Malvasia as well as red still wines. I think his Forte is Sparkling and Metodo Classico sparkling wines. Some of the Giorgi Sparklers were better than most expensive French Champagnes. 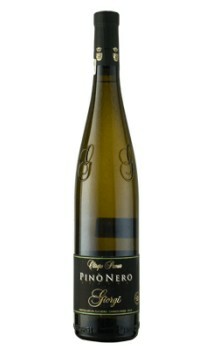 The one I think is the most versatile for the American Palate is the Pinot Nero Bianco Frizzante. It has an expandable cork to keep the fizz in (Hence the word Frizzante or Fizzy) and not a Mushroom Champagne Cork that would proudce a (Spumante or More Bubbles). It is 100% Pinot Nero or Pinot Noir but without the use of the skins it is Bianco or White in color. I just had a bottle or maybe two about a week ago and had not had it since my trip to Italy in October. It is a beautiful, pale straw color, with a perfume of fresh fruits like apples, and peaches and a little toastiness. On the palate it drinks like a fruity beer. Very, crisp not too dry flavors of fresh pressed apples and a hint of tropical flavor but light, delicate and would be the perfect summertime sipper or with light salads, fish, or laying on a float in your backyard pool. What a beach wine as well!. Another great wine from Giorgi and the selections of Nadia Galati. That covers the Chillin’ Part. Now what about the Grillin’? I just had a visit from Florian Abadie who is in charge of client relations for Lionel Osmin in Southwest France. I have done videos in the past that you can look up on the archives about the Wines of the town of Cahors. I always say you haven’t had a Malbec until you try one from Cahors (No Prostitutes there. 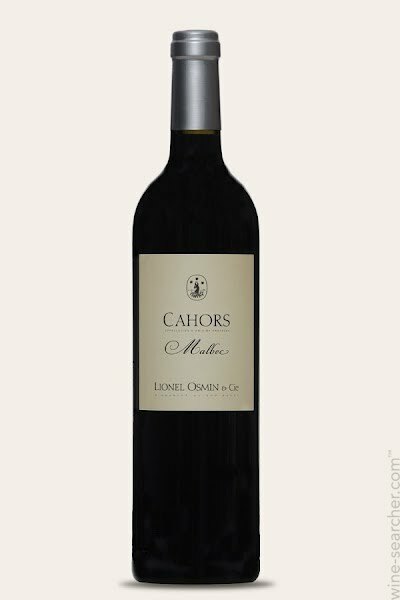 You leave off the letter “S” when you say Cahors so get your minds out of the gutter) They have been producing Malbec in Cahors since 50 BC. Robert Parker made a statement that 2009 was the best year in Bordeaux. I disagree with Mr Parker. It was a very good year in Bordeaux but for the entire country of France and all the winemaking regions including Alsace, I think hands down 2009 was a great year for everyone. The 2009 Lionel Osmin Cahors that Florian sampled me on was no exception. This wine says BBQ and Grilled Meats and soon as you smell it. Florian told me only 20% of the juice sees any oak contact and the barrels they use are all neutral and used so the presence of oak is there but minimal. I love the dark flavors of Cassis and Vanilla with a hint of spiciness. It’s a big wine but yet a delicate wine at the same time. Very balanced and ripe tannins for such a young Malbec. It did as usual turn my teeth and tongue black but that is the type of extraction you get out of the Malbecs from Cahors. If you have drank Malbecs from Argentina you wouldn’t even be able to guess what you were drinking. This is the real deal. Ribs, Hamburgers, Steaks, Chops, Chicken, Portobello Mushrooms all would be complimented by this wine. So there you have it. Two great choices for Chillin’ and Grillin and Summertime BBQ’S. You don’t have to wait until your team wins the world series or a special occasion to drink a sparkling wine. They are so refreshing and great all year long. In fact why wait for Summertime to drink the Giorgi Pinot Nero Bianco or the Lionel Osmin Cahors? I wasn’t a geography major but I believe it is Summertime somewhere all year long!! PreviousWith Wine “Screw Off” Is A Good Thing! NextTwo Young Women Producing Big Masculine Wines In Walla Walla!